Are you a yoga buff? Does the very idea of performing yogic exercises inspire you? So why not this vacation, combine your pleasure with passion and go for a yoga vacation in the serene landscapes of Europe? With crystal clean air, get yourself tucked away in some exotic resort free from unnecessary noise and worldly chaos! And if you are in a fix as to where in Europe should you be going, we are here to help you! This post deals with the top ten yoga retreats in Europe! Give a read, and get ready for a spiritual odyssey of a lifetime! Located in the South coast of Crete, this resort is located on a cliff, and you can enjoy the ocean view while doing your daily schedule. Crete is well connected by airways through Heraklion airport (HER) or Chania airport (CHQ). There are daily ferries from mainland Greece as well. Once you are in Treopetra, the resort owners happily arrange the transport from any arrival point. Yoga holidays run Saturday to Saturday with yoga beginning on a Sunday morning and ending with Friday night celebratory feast. Everything in the retreat is exclusive except the massages and the Friday feast. This astonishing place is made in 17th -century Italian estate. This place gives a unique wholesome experience combining healthy living, yoga sessions, and local cuisines. The place is well connected as it is just an hour drive away from Rome, located in Torri, a local village. The village is hardly 3 km away having only 1000 residents. Prices are inclusive of 7-night stay, to and fro transport from the airport, three vegetarian and delicious meals a day made using local ingredients to ensure freshness. One massage session is also covered in the package. Yoga teacher Sally Parkes runs many such estates. Here is one shortlisted Tilton House, Sussex, picked for you. Apart from yoga sessions and classes held exclusively by a renowned teacher, one can also choose from aromatherapy, deep tissue, and Swedish massage. The place is situated near Lewes, which is well connected through trains with London or Berwick station. Pickup is available if you are arriving from Berwick. The ancient Georgian house is wonderfully decorated to give it an aesthetic appeal. You will have customized classes as per your level – beginner or advanced. Also, you will be given special care for any personal injuries or illness, and a platform to adapt yoga postures accordingly. Located in a scenic place with a panoramic view of the Alps, this place will lift your spirits during your yogic stay and will leave you rejuvenated. The retreat is located in Tyrol that is well connected by road with all the major cities. It takes about 1 and ½ hour from Munich and about 5 hours from Vienna. Tyrol has got amazing winter sports, mountain lakes, and various hiking trails. The retreat emphasizes on the teachings of Swami Sivananda and Swami Vishnu Devananda that include pranayama, meditation, and Vedanta philosophy. Established since 2005, the yoga center is in southwest France. It has become increasingly popular due to its unique mix of yoga teachings right from Iyengar to freestyle. The retreat is in the southern town of Angouleme and is well connected by air and train from all over UK and Europe. Pick up service is available from the Angouleme rail station. Food is a major attraction of this retreat. Every year, a new menu is set based on a delicious and healthy vegetarian diet offered by different countries. The place has a French style architect with oak floors, exposed beams, stone fireplace, and window sinks. It is one of the popular Kelly Aikins’ yoga classes which attract a host of devotees every year. The villa is ideally situated in Western Algarve that is easily connected from all the major cities. The retreat is a huge gorgeous villa with massive outdoor space where everyone stays as a family. Meals include fresh salads and grilled veggies, as well as locally caught fish on the barbeque. The center is blessed with warm temperature throughout the year and has an astonishing view of mountains. The retreat is in rural countryside near the town of Orgiva that lies between Granada city and the Mediterranean coast. It takes 2 hours from Granada airport by car. Various kinds of spa treatments are available at the center, and you can avail them by paying a little extra. Numerous excursions are also run to suit everyone’s needs, including horse riding. It is a retreat for women and is highly popular all over the world for its series of yoga, Pilates, meditation, and life coaching sessions. This place is in Samoens, Haute Savoie, France. Samoens is an hour drive from Geneva Airport and approximately 8 hours from Calais. Along with yoga sessions, the place is relaxing. It also has a fun break in a beautiful and healthy environment. Special one-to-one coaching sessions are available. The place is popular for a latest version of yoga created by the world famous yoga teacher Michele Pernetta. Just twenty minutes southeast of Olu Deniz, the retreat is well connected from any place in the world. The retreat is a beautiful boutique hotel surrounded by orange trees and is close to the beach. It has a comparatively relaxed environment with an occasional glass of wine allowed to its guests. 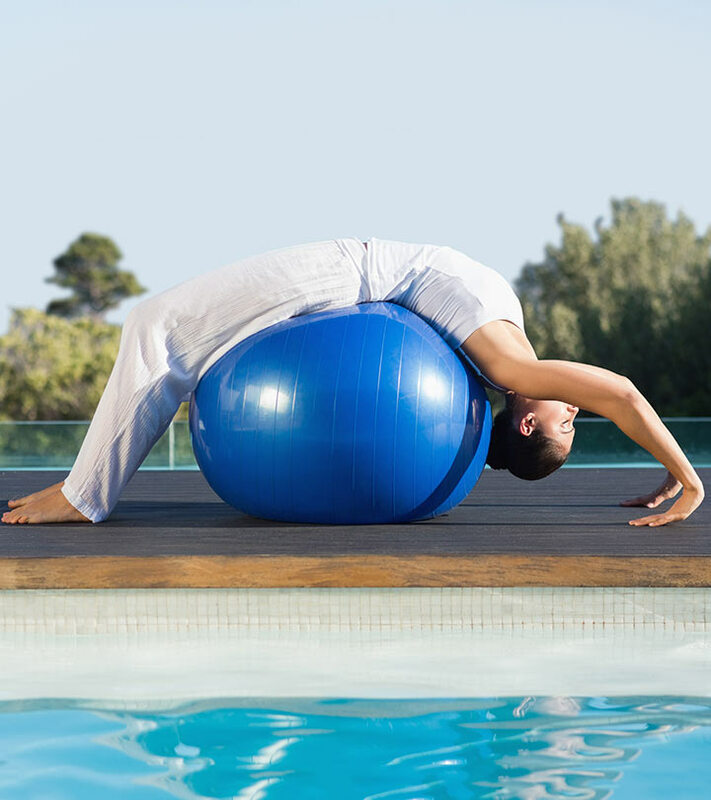 This is a well known luxury yoga retreats Europe offers. Unique and rejuvenating as it promises, this place is a real treat for yoga lovers. The retreat is located at Cuckfield, one of the prettiest Tudor villages in England. The place is an hour from London and a 20 minute drive from Gatwick. The place offers exclusive facilities of sauna and steam room along with spa treatments. The classes are quite flexible and can accommodate beginners and experts as well. These are the best yoga retreats Europe offers for you. Now, this would be the right opportunity for you to pick the best retreat, especially when you are planning for a holiday in and around Europe! Which yoga retreat are you interested to go to? Share with us in the comments section!